Advantages: Useful replacement for Bronco's vinyl tyres; excellent casting and detail; simple replacement. 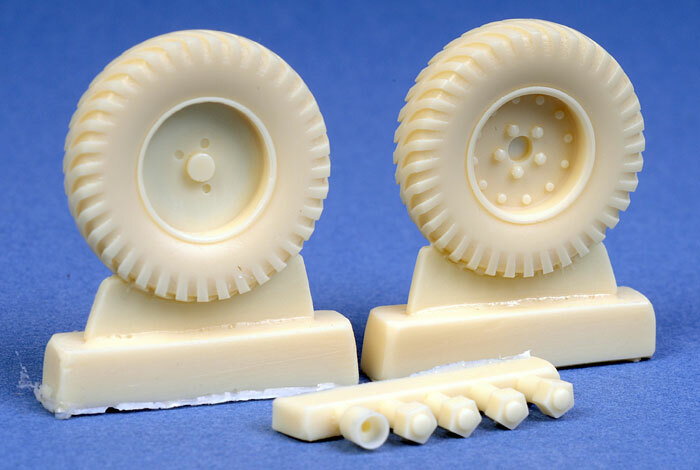 Czech Master Kits has just released a set of 1/35 scale replacement wheels for the Humber Mk.I Scout Car. The wheels will be suitable for either the older SKP or the newer (and better) Bronco kit. 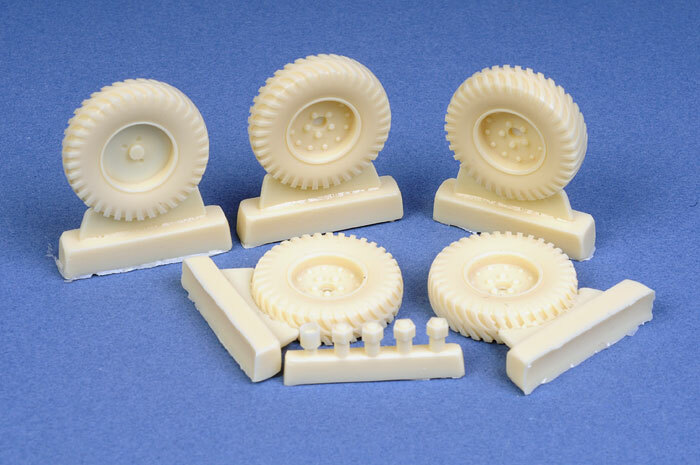 Eleven parts in cream coloured resin are supplied in the set. There are four road wheels and one spare. Separate centre bolts are provided for each road wheel. Detail is very good and the casting is perfect on my sample. The tread pattern looks accurate. Each tyre is connected to an individual casting block via a fairly thin strip that should be quick to remove and clean up. These wheels will be particularly welcomed by modellers who do not like the hard vinyl material of the Bronco tyres.